Revised 2013 Editions - ORDER ALL FOUR & SAVE! The 4-Book set includes fully revised editions of all 4 Books at a substantial discount. 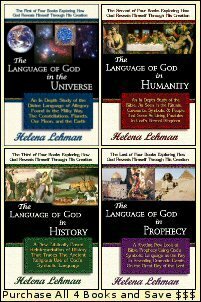 IMPORTANT NOTE: The E-Books linked to on this page are the work of Messianic Scholar Helena Lehman in her widely acclaimed Language of God Book Series. All 4 downloadable books are the completely revised and updated 2013 Editions, reflecting Helena’s latest ideas and research. In order to access the PDF E-books linked to on this page, you will need to scroll down to find the links, then click on the link for the book you purchased. When you do this, a security box will open asking you to enter the User Name and Password to access the file. These will be sent to you by Author Helena Lehman of the Pillar of Enoch Ministry after purchasing the E-books. If you have not purchased any of these E-books, but would like to, use the drop down list in the PayPal link below to get access to the book or books you would like. You can also download one free book if you are suffering financial hardship. If this describes you, please Contact Helena by CLICKING HERE and use the information provided on her ministry contact and gift information page to ask for access to the book that interests you. If, after reading it, you wish to read more, please contact Helena for permission to download another book free. When you click on the Book Title links below, a Security Warning Box will pop up asking you to enter your User Name and Password. PLEASE NOTE: The User Name and Password are case sensitive and must be added exactly as given. If you have been blessed by this ministry and can help POEM financially, please consider keeping this writing and teaching ministry alive by giving to our cause. 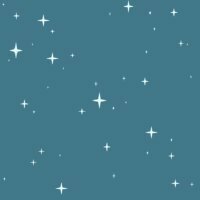 One time or periodic financial gifts in any amount will be gratefully received and joyfully acknowledged. To give a gift, please go to the POEM Contact Us and Gift Information web page by CLICKING HERE.